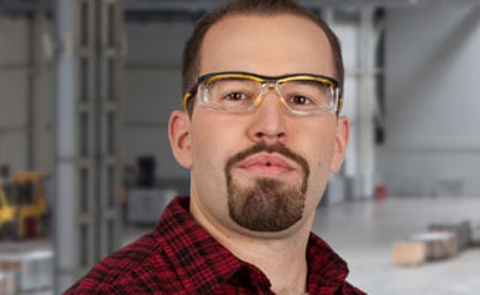 What Are ANSI Safety Glasses Approved? The American National Standards Institute (ANSI), is an organization which is not owned by the government but contributes tremendously in methods and standards to improve the performance of organizations. 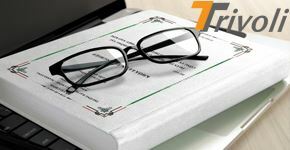 Its methods include enhancing safety standards in the industries and if we talk about the glasses industry, the standards are known as ANSI Z87.1. The standards included in the set are to help employers and their staff in taking better decisions when working in dangerous environments or with materials that can pose a great threat to their safety. ANSI safety glasses can help protect a person from impact by any foreign objects, toxic splashes by chemicals, exposure to radiation and more. Although ANSI is not owned by the government, a lot of the standards followed in governmental organizations are set by ANSI. OSHA's 1910.133 Eye and Face Protection guidelines for protection are hugely based on the ANSI standards. The first ever documentation of ANSI Z87.1 was written in 2003 but final rectifications were made in 2015. 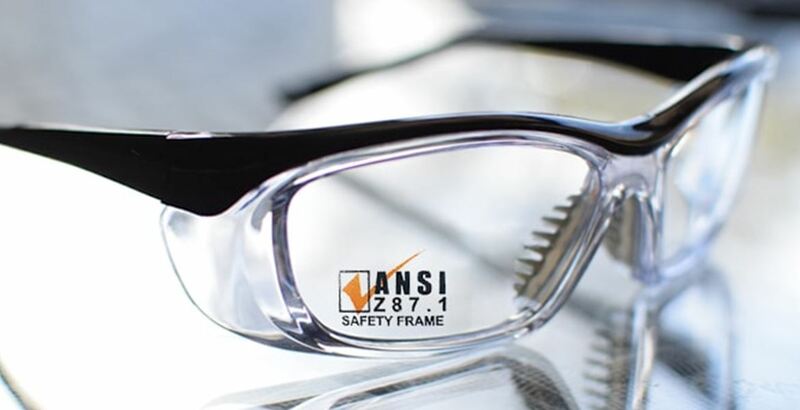 A pair of glasses cannot be approved under the ANSI Z87.1 unless it has been tested and proven to provide sufficient safety to the wearer’s eyes against one or more threats to the eyes. Third party companies that have testing facilities can check if a frame really is in compliance with the set standards before handing it to their staff. In most cases the situation can often be life-threatening and thus, it becomes a necessity to wear the best protection that is available. People who work on construction sites are very much in danger of being hit by a foreign object on their eyes. You never know when a flying nail can appear out of nowhere and poke you straight in the eye. Similarly, woodworking is also dangerous without wearing eye protection. The sawdust is, actually dust that flies from within the wood that is being worked upon. Since the worker is too close to it, the dust can easily be inhaled by him and also land in his eyes. Also, the splinters flying from the cutting machine can damage the eye if he is not wearing any protective glasses. Working around chemicals is very dangerous and anyone who has the duty to handle large quantities of liquid chemicals should be protected from head to toe. Most of these toxic liquids emit too many fumes that can be inhaled by the people around them. These fumes can also cause irritation or burning sensation in the eyes. In America alone, around 500,000 people suffer from eye related injuries every year. Almost fifty percent of them require medical treatment of the highest degree. Many of the affected are reported to have suffered the partial or complete loss of vision. A slight mistake can cause the trouble of a lifetime and it doesn’t hurt to wear something protective suitable for the job. A lot of people have hurt in the eyes during sports also. Accidents happen the most in sports that involve a bat, a racquet or a stick. Many players have been injured by a fastball hitting them straight in the face and in basketball, the players have been hurt the other player’s elbow. Since they are playing too aggressively without any distance, such accidents are bound to happen. 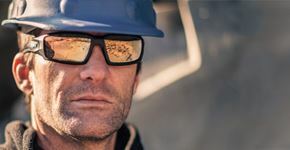 What is the ANSI standard for face and eye protection? Blunt Impact: A sharp hit by someone running and colliding with an object or a projectile landing straight in the eye. Radiation: It comes from a variety of sources and the sun being the biggest source of them all. Overexposure to the sunlight causes a lot of damage and is a reason for optical diseases too. Droplets: It is mostly caused by the chemicals in liquid forms. Most of the time toxic liquids are placed in small containers on high shelves. The people who suffer from such injury have always reported leaking or unsealed containers. The liquid landed straight in their eyes causing immense pain and in the worst cases, permanent loss of vision. Dust: Farmers, carpenters, and laborers are the most affected by dust. Any tiny particle that is blown by wind or fast moving air is termed as dust and is known as a potential threat to the eyes by ANSI. Any ANSI safety glasses being used in a facility are to be approved first before using against specific hazards. 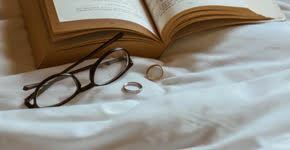 Glasses are required to be marked with the threats and hazards they can provide protection against. Today, all frames used for the purpose are marked with the appropriate indicators alerting the wearer of the level of safety they can provide. For example, any frame marked with the Z87 U6 code means it can be used when handling UV light of level 6. Markings with the D# indicate usage when handling liquids. The D5 markings indicate the use when working in places where one will have to endure fine dust. A safety officer working at any facility must understand the labeling and the types of hazards they are able to sustain. + Sign: It can be observed after the Z87 marking and it is an indication safe for use against high impact. D3: Glasses bearing this marking can be used to protect against liquids and splashes. D4: When you are working in a place with dust, this is what you should be wearing. D5: In case of fine dust, always use the one with this mark. U: It is for UV protection. R: Use against infrared light rays. L: For use in case of visible light hazards. 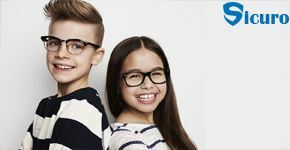 Z87 – 2: Is an indicator that the glasses come with prescription lenses. Sometime you will notice that these symbols are accompanied by numbers also. The numbers are indicators of the level of hazards the frame can withstand. The numbers are a scale to measure the type and level of protection they can provide. You must refer to your work environment when purchasing. Remember, the ANSI standards also mention that eyeglasses aren’t one size fits all. So, when you are in need of entering a hazardous area, always make sure the frame is according to your face. 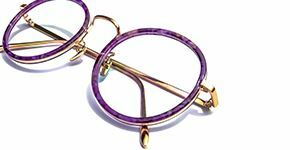 Wearing bigger frames can leave openings on the sides and that would be the gateway or something harmful to enter and damage the eyes. I’m sure you are concerned about the myth that troubles most workers that wearing ANSI safety glasses all day can hurt your vision. Looking through a plastic (polycarbonate) is not considered a good thing especially for long times. The straight answer to this myth and many others likely is a flat – NO! Wearing safety glasses do not harm or damage your vision in any way. However, some people feel a slight discomfort when wearing them. Many workers report of having headaches or eye fatigue which is a valid reason to influence the compliance and safety department. And trust me, they are never happy to hear about such complaints. We believe there is a strong chance that you have also felt discomfort when wearing safety goggles or glasses. You have experienced eye strain or stress when wearing them and felt your head getting heavy or spinning which is a clear indication of eye fatigue. It can happen when the eye muscles have become tired because of the long day and work. You should not be surprised to know that eye strain can also be happening to you because of the quality of the eyewear you are using. 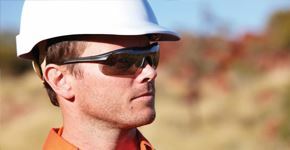 If you are wearing cheap or low-cost goggles during work, and for long hours, you are correct to assume that the pain is due to the glasses. Even though your vision will not be instantly affected, but it will certainly be a hindrance in productivity. When your eyes are watering and you feel giddy, you certainly cannot focus on the task at hand and your attention will remain diverted on how to reduce the pain and get it over with. When you take a break from work to reduce the pain, it is considered lost time. In some extreme cases, where the person was forced to work even under severe eye strain, it resulted in the person falling unconscious. Eye strain happens when the optic nerve feels pressure and starts tingling sending waves to the brain that it cannot handle it much longer. Some people have suffered impaired vision and ultimately required prescription glasses. 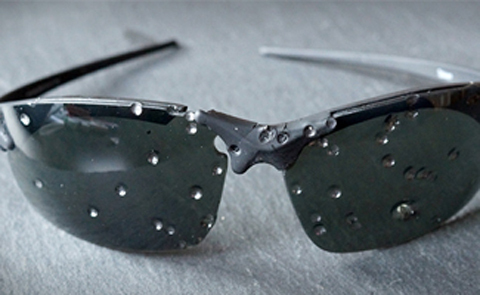 ANSI safety glasses can never be cheap glasses because when tests are run, the low-quality material gives away. If you are using glasses made with cheap materials, then it is a clear indication that they are not ANSI certified. Thus, your vision and safety both are at great risk because, in case of any calamity, the cheap glasses will not be able to provide the necessary protection. Here are the common reasons why you might be feeling eye strain from wearing your safety eyewear. Wrong fitting: one of the major reasons is the misconception that one frame can fit everyone. This is not rue because a frame has fixed dimensions that are suitable for certain face shape. Some employees can find it a suitable fit while for some it will be comfortable to wear. Incorrect tints: There is a misconception that tints have nothing to do with performance. This is not true because some tints have the ability to enhance your ability to visualize. For example, the yellow tints at night can be useful to enhance vision. It is known to provide you a better and clear view in dark surroundings. Scratched lenses: When a frame has already been used roughly a lot of times before, it must be replaced. Even a single line on the lens can alter its ability to provide a clear view. In the case of many scratches, it is worthy to be discarded. It does not matter how they have become scratched, but they are useless now. As described above, ANSI is a not for profit, an organization that is not owned by the government but also not a property of a single individual. It is tasked to form safety measures for appliances and devices that are used in organizations as a guard against unknown accidents during work. But most often the role of ANSI is misunderstood. It is a federation which came into being with the union of writers, users, researchers, and writers. It voluntarily provides safety standards that are widely accepted in the United States and all over the globe. Although it works closely with government institutions, it is not owned by the government of the united states. To keep it running, it earns revenue in the form of membership fees. A majority of industries and huge corporations are a part of its membership that pays a yearly fee. 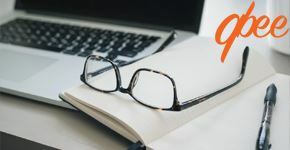 It also earns through the sale of its standards and publications that are a requirement in large organizations or institutions working in areas where safety is a huge concern. 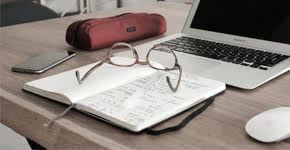 It may be of a surprise to most of the people reading this, ANSI does not set standards but to coordinate them and the activities of the organizations that are responsible to develop standards in the USA. It gained fame mostly because of the widely used term ANSI safety glasses that is a necessity of almost every organization. ANSI is designated to approve the standards that are set by the responsible organizations and sets the rules and regulations that allow institutions to adopt the set standards. It is also responsible to oversee the process of safety is applied and practiced in industries and instructions that involved in manufacturing, warehousing, and research. The ANSI rules require it to be open and transparent in its procedure and standards evaluation. 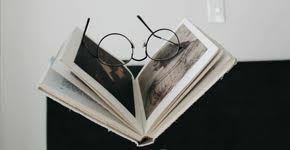 Whenever a new standard is accepted by it for review and approval, it is openly announced and all necessary proceedings are open for the public to view. In case of any discrepancy found, it is notified to the related organization and rectification is demanded. Regardless of the procedures and methods adopted to draft a standard, it is always offered to the public for review. In any case of opposition or any flaw highlighted by any member of the public, the sponsoring organization will have to resolve it. Unless the standard is accepted by all without any possible shortcomings, ANSI cannot approve it. Once approved, the standard set and put into effectiveness by ANSI has a 5-year lifespan. It is a necessity to have a look at it again after 5 years because during this time a lot of new products are created and have made their way into the use by individual and organizations. ANSI has the right to classify an approval discontinued if it is not revised or reaffirmed once every five years. 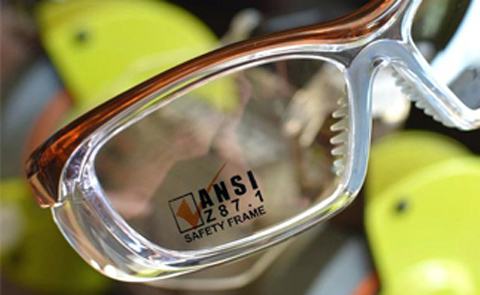 As an example, the ANSI safety glasses standard was born in 2003. It was first amended in 2010 as revisions started pouring in. 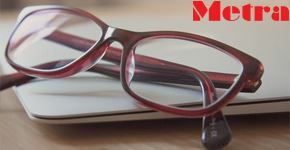 considering the changes that influenced the eyewear safety industry, the need to revise the standards was felt necessary and it was implemented. Then finally, it was again revised in the year 2015 and will require a change or update in 2020 if nothing is changed earlier. Do Safety glasses protect from welding flash? For the people who work with, or around electric arc welders, the ‘Arc Flash’ is too common for them. Anyone who has experienced it will be able to tell you that experiencing it is probably not fun. It is important to be properly equipped when nearing the electric welders because of the dangers involved.